being little • bristol uk fashion & lifestyle blog. 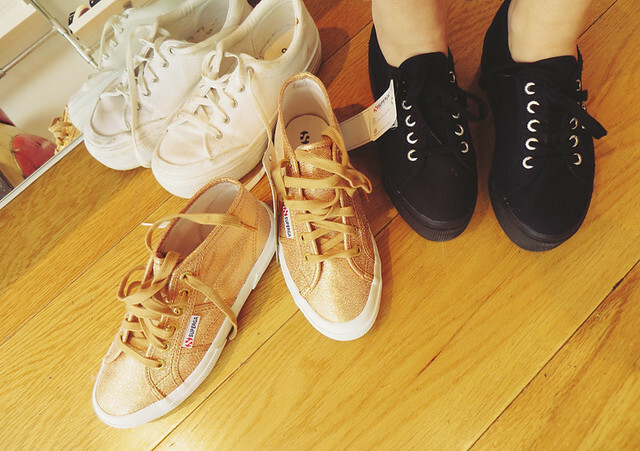 : superga, bath. I've been to Bath quite a lot lately - this past weekend I went up for my lovely friend's hen do, and a week or two before I hopped on the train with Nick, had a picnic, and checked out the new Superga store that's recently opened up. 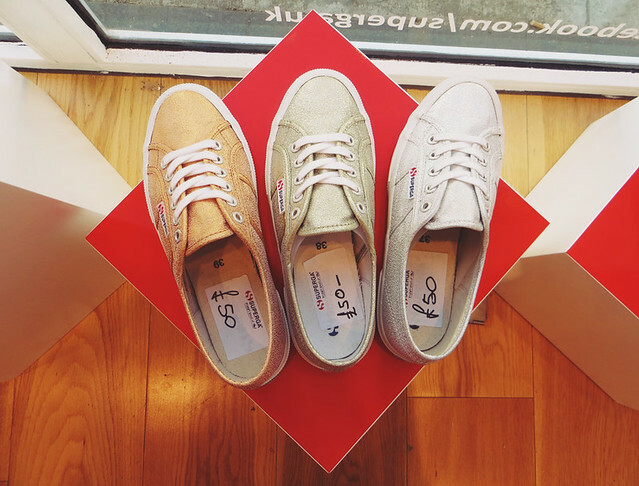 I have always thought that Superga trainers are super cute - I think it's something about their big eyelets and fun colourways - but never actually taken the plunge and bought any. When I noticed that they have a big selection of flatforms I was completely sold. You all must know how I feel about flatforms by now! The shop itself is small but perfectly formed. 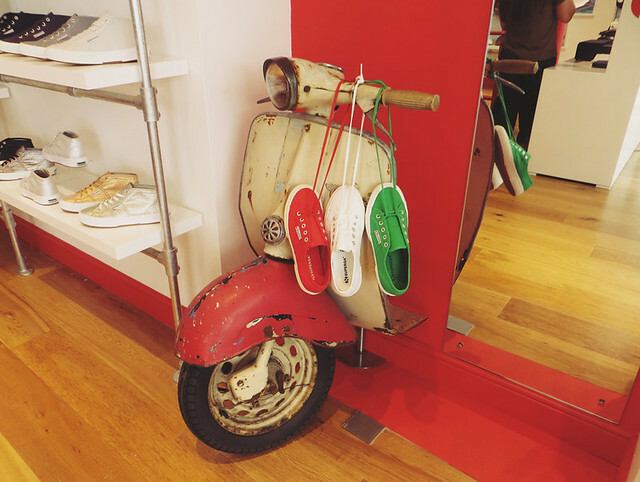 Nice and bright with cool industrial shelving and bits of an old scooter - duh, they originate from Italy! - and the staff are so friendly and helpful. I walked away with some black flatforms* (which I'm sure you'll be seeing in an outfit post very soon) and Nick was a lucky duck and got to take home some lovely burgundy classics*. Ah those gold ones have stolen my heart! 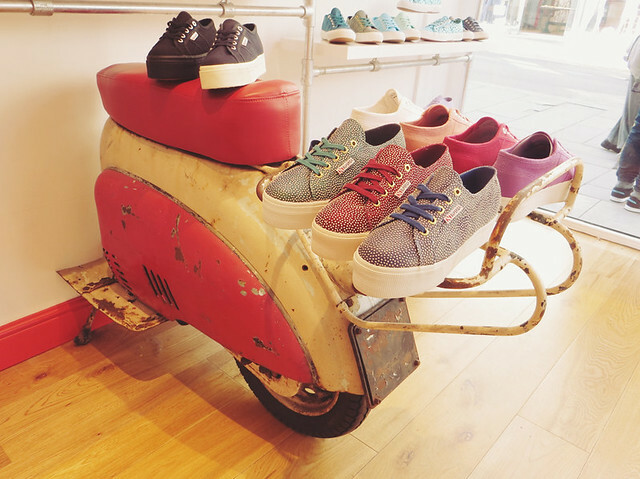 aHHHH want all of these gorgeous shoes! 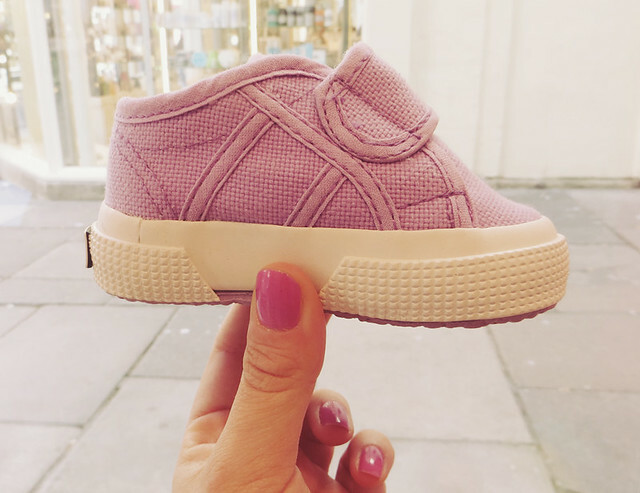 The baby shoe is so cute!! apricot polka dot midi skirt. john frieda 3 day straight.